Your passenger's worry when your vehicle hasn't appeared, is out of sight, or they've arrived a little late. 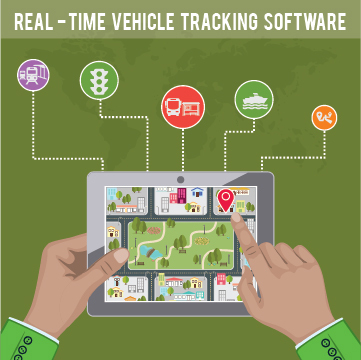 Vehicle tracking allows your passengers to see where your vehicles are located in realtime. Passengers can then self-serve. It allows them to plan or adjust their journeys, improves their confidence in your service and reduces calls to your call center. Vehicle tracking also assists your office staff as they know exactly where the vehicle is. By tracking vehicles automatically, you remove the need for drivers to communicate their vehicle's position. This is turn allows drivers to be less distracted, deliver a higher level of customer service and reduces the risk of accidents and fines. Tracking your vehicles is easy...and AddTransit works for trains, buses and ferries! The AddTransit Vehicle Tracking app uses the GPS in a cell, mobile or smartphone to determine the vehicle's location. We then combine all your vehicle's locations into the industry standard GTFS-Realtime format ready for use by your passengers favorite online maps, journey planners and transit apps.